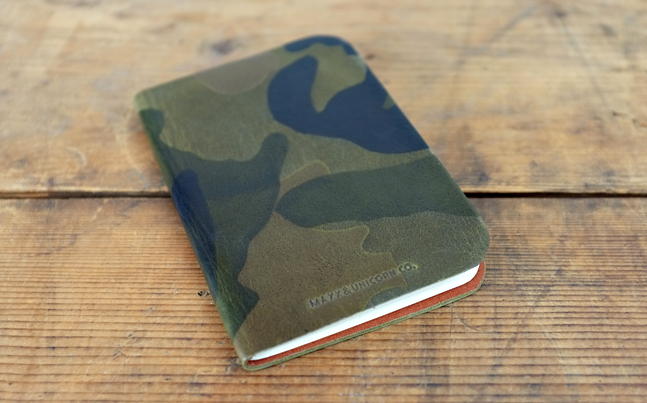 f you’re looking for a well-made notebook that you won’t want to toss out after you fill it up like something from your local office supply store, Brooklyn’s Maxx & Unicorn has you covered. 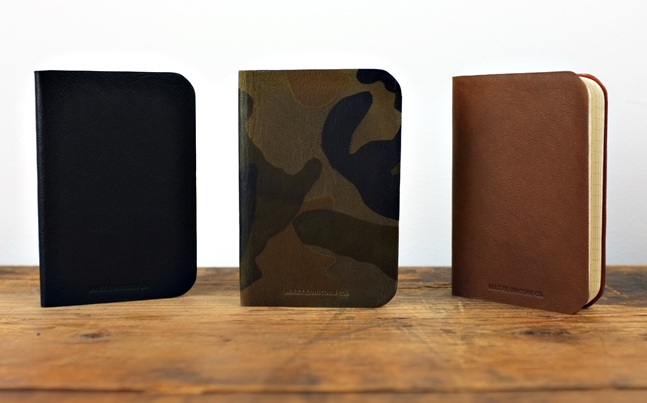 They teamed up with Marilyn Glinka of Emgie Libris to create a handbound journal that’s crafted from a single piece of leather and comes in the standard black or brown, but is also available with a dark camo design if you’re looking for a bit of added style. Each is initialed and dated in the back and lined with a cloth interior. 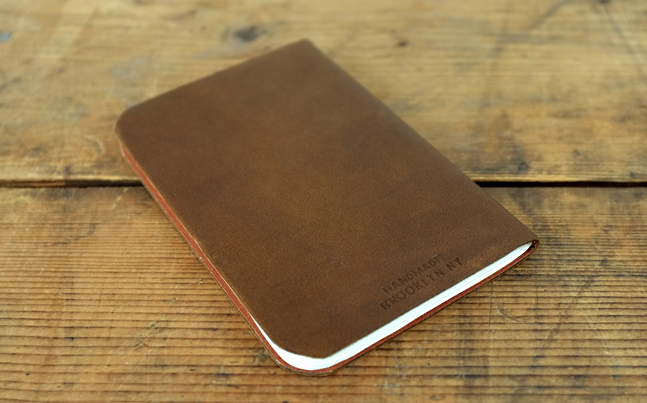 Basically, it’s a pocket notebook that urges you to take a penmanship class so you can keep it nice and pretty. 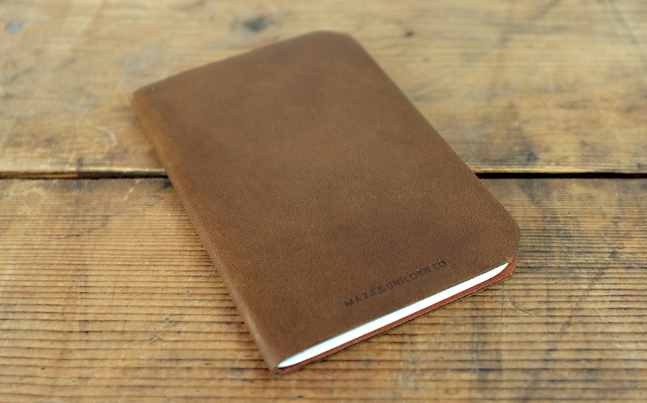 This entry was posted in Accessories, Design and tagged Leather, Maxx & Unicorn, Notebooks, Office. Bookmark the permalink.